"If you haven't heard Geoff Symon's class on forensics and crime scene investigation, hurry. Fascinating, weirdly fun and totally accessible. A must for crime and suspense writers." 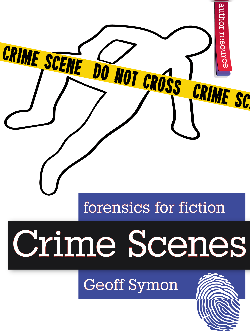 "Shout out to Geoff Symon, whose forensic advice is helping to make my current work in progress bloody believable." "When I have to write forensics scenes in my stories, my go-to source to get all the details right is Geoff Symon. His first-hand experience, as well as his ability to explain the world of crime scene investigations, have been invaluable resources. It's been a mystery to me why Geoff hasn't been writing his own stories. Now, thankfully, he is." 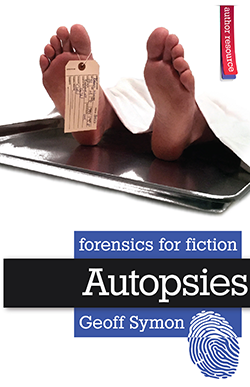 Forensics for Fiction is the reference series with the author in mind. Geoff Symon draws from his 20 years’ experience and expertise as a federal investigator to cover real-world procedures and practices of crime and its investigation for writers of all genres. Each book tackles a different forensic topic: Evidence, Toxicology, Weapons & Wounds, Arson, and more. Each title in this series will be a layman-friendly introduction to specific subjects, giving authors an understanding of actual methodologies, jargon, and statistics. The text will be augmented with charts and illustrations to help readers navigate the material. The goal is to give the author the balance between realism and accessibility to bring their crimes to life. Stay tuned to this page for updates on how you can own the must-have reference to forensic science! Want to create believable crime scenes and establish the facts that crack your case? Too many authors cut corners or ignore procedure when finding the evidence in their stories. This guide offers an accurate and accessible overview of crime scenes and the investigative process. Terms and techniques associated with crime scenes. Methods used to search and document types of scene. The various on-scene professionals and their duties. Case studies in which crime scenes decide the outcome. Laws and jurisdictions that regulate investigations. Ways to incorporate crime scenes in any popular genre. Whether you’re writing CSIs or private eyes, this illustrated guidebook offers a comprehensive, user-friendly reference to cracking the scene of your crime. Want to add blood to your scenes without making a mess? Too many authors get squeamish or sloppy about including the red stuff in their stories. 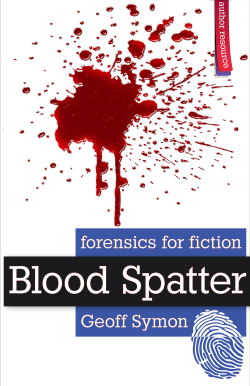 As a research guide, Blood Spatter presents an accurate and accessible gateway into the world of blood spatter and its analysis. Whether you’re writing about a drip or a bloodbath, this illustrated guidebook offers a one-stop, easy-to-understand reference for writing a bloody good story. Copyright © 2013-2016 Evil Mastermind, LLC. All Rights Reserved.